My entry into the May 2018 MAGS competition (theme: Rats). 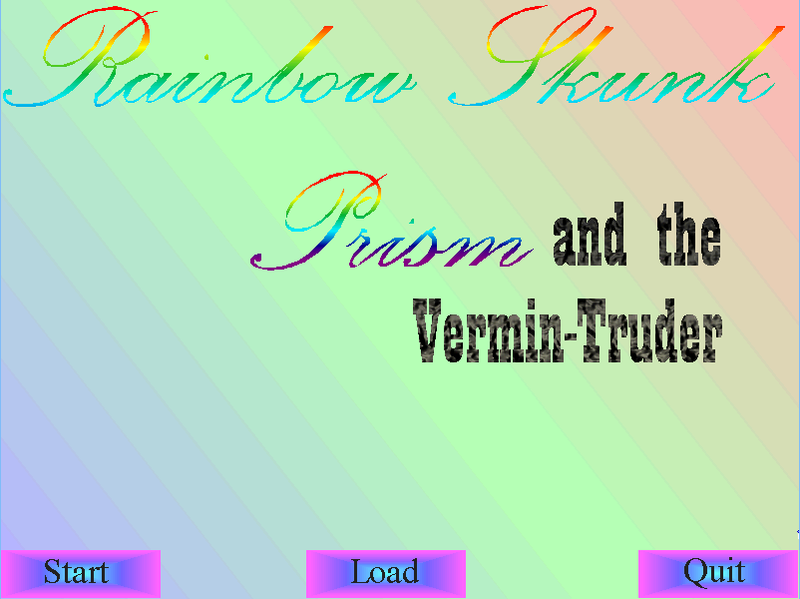 Help the lovely rainbow-furred skunk girl, Prism O'Breacadhanlae, get rid of a mutant ratman who's trashing her greenhouse. 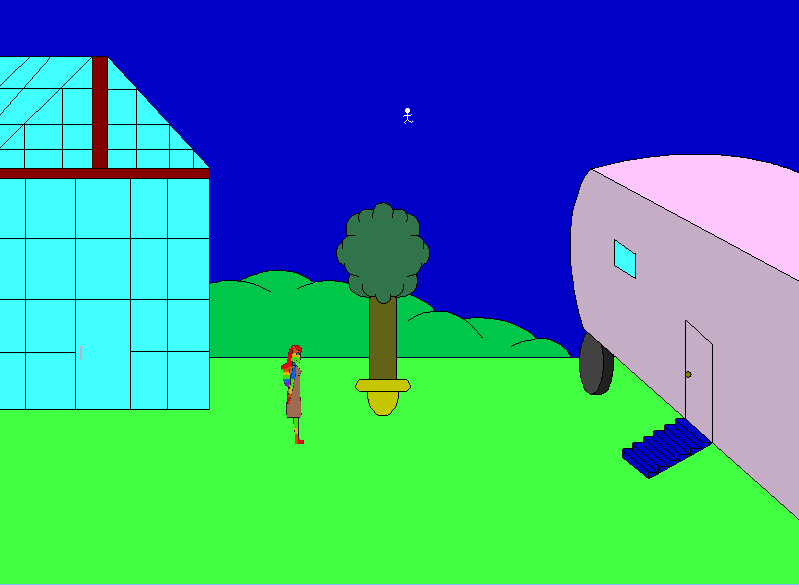 The game is in a 800x600 window (assuming you set the game in windowed mode in the setup). [Update] Added in music and sound, courtesy of RM2K. First a bear girl in bikini, now a rainbow-furred skunk girl... your characters are really freaky, DBoyWheeler! I played it and I love that main character. Though a faster walking speed would be nice. Well, as I said many times, animating ain't one of my strengths! Maybe for future (non-MAGS) games, I could find some people here who are far better animators than I. Are you cropping each frame of the animation to different sizes? For example, a narrower image for when the character's feet are in line with each other and a wider image for when one leg is extended out in front? If so, AGS will recenter each frame wich will cause the character to jump around wildly. Always use the largest sprite size as the size for every image in the animation and paste the other images into that size. You may have to reposition slightly of course. The right leg is in front, and the right heel touches the floor; the left leg is back, and the left toe touches the floor. The left leg is in front, and the left heel touches the floor; the right leg is back, and the right toe touches the floor. In both cases, the head is over the middle. Do this in the same way in figure 5 of the second row, too. This should improve the walkcycle a lot. The best thing about this game is that a rainbow skunk chooses to wear a drab, brown dress. demeanour because she's so emotionally detached. Overall, an interesting story, a well-built world and a great puzzle idea. A great, short play.